Measuring the force exerted by patients in the exercise for rehabilitation after neurological injuries is important: in quantifying the patient’s motion capabilities, to ensure safety and to provide the appropriate amount of assistance, among others. Adding a force sensor for this purpose at the end-effector of a rehabilitation robot can add considerable cost. When a robotic device is dynamically transparent and mechanically backdrivable, a force estimator based on the model of the system can be used to estimate the force applied by the patient without using the explicit force sensor. 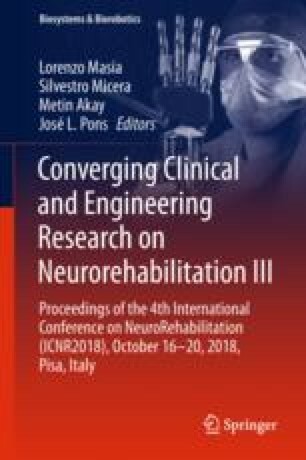 This work validates the effectiveness of a model-based force estimator, derived from the literature, within the context of rehabilitation robotics, through a successful validation the strategy on the EMU upper-limb rehabilitation robot.